Edited by Benjamin P. Thomas with an Introduction by Brooks D. Simpson. On the morning of May 15, I made an early start from Jackson for the front and arrived at McPherson’s headquarters late in the afternoon. A disagreeable rain set in which lasted all night. It added greatly to the fatigue and discomforts of the marching troops, but did not materially delay them. 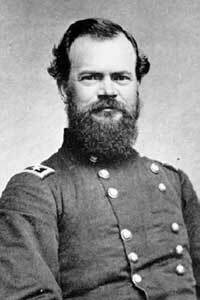 All were in position on the morning of the 16th, excepting McClernand. Some of his divisions were behind and otherwise out of place, although he marched on a shorter line than McPherson to the point of convergence. 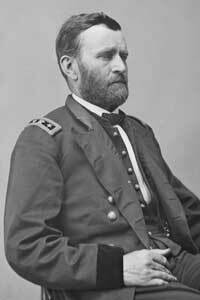 Thus he unwittingly added to the long list of shortcomings another black mark in Gen. Grant’s book of remembrance. I messed that night and next morning at Gen. Logan’s headquarters, slept under the friendly shelter of one of his tents, and was up early anticipating coming events. Grant and Staff spent the night at Clinton. Logan’s division of McPherson’s Corps had the advance in the morning and moved out of Camp early and briskly, expecting to encounter Pemberton in the forenoon and having the honor of opening the battle which all agreed was now inevitable. Logan and myself were near the head of his column, after an hour or two of marching, when we reached a road coming obliquely into ours from the one on which McClernand’s advance was to be made, and Hovey’s division of the latter’s Corps was already half past. Logan was compelled to halt till Hovey had passed this intersection, and then start on squarely in Hovey’s rear. I rarely ever witnessed such an exhibition of rage, profanity and disappointment as Logan then gave. The air was just blue with oaths, till speech was exhausted. McPherson’s arrival a few minutes after was the signal for another outburst. But there was no apparent remedy. Hovey had the road by right of prior occupation, but Logan’s division was avenged before nightfall. 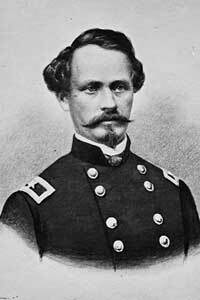 In the meantime McPherson learned of Pemberton’s proximity, and sent word to Grant urging him to come to the front. By half past seven in the morning Grant and staff were on the road from Clinton, and arrived at Champion’s plantation lying in front of the ridge or hill on which the battle was fought, just as Hovey opened fire on the enemy’s left and commenced the day’s engagement…. The road on which Hovey and McPherson marched passed across the north end of Champion’s plantation till it reached the western border of the lowland when it turned to the left, and ascended to the northern end of the timbered land which extended a mile or two southward, when it turned westward again on its way to Vicksburg. On the crest of this ridge facing eastward, Pemberton was found in line of battle awaiting McClernand’s attack. Hovey’s division followed the road up the sloping end of the ridge and fell upon Pemberton’s left under Gen. Stevenson with such impetuosity that it was driven pell-mell in the utmost confusion and disorder before it could be reinforced from the rebel center and right. As it was rolled back it became stronger and stronger until it rallied, reformed, and was reinforced; when it in turn repulsed Hovey severely, following up its advantages to the extent of sending it flying back over the ground it had just so gallantly won. Between the end of Hovey’s splendid charge, and Stevenson’s equally successful counter-charge, there ensued a lull in the firing, while each was preparing for a second contest. I was lying on the blue grass in Champion’s front yard, with Grant and staff near by in the shade, when I asked Rawlins if I had not better ride up in the timber and “see what was going on.” He thought it the proper thing to do if I felt so inclined, whereupon I mounted and started. I soon found a few dead, and many wounded. Coming to an abandoned four-gun battery of six-pound Confederate cannon which Stevenson had been obliged to leave behind him, I stopped to examine them. Several of the horses lay dead in the harness, and dead men in blue and gray were also plentiful. The forest as far as I could see was torn and trampled. While there, trying to get some slightly sounded men to run the cannon back towards the rear, the fighting was fiercely renewed some distance ahead of me, and I was not long in discovering the tide of battle had turned in my direction. The rattling musketry fire came nearer and nearer, the noise and storm of battle grew louder and stronger every minute; and very soon some rebel guns commenced a furious cannonade on Hovey’s broken, retreating ranks. The air was filled with the roar of battle; and with leaves and twigs from saplings and trees. Next, the road and woods was filled by the slightly wounded, and stragglers, who came singly and in squads, until it seemed as if the whole command was irretrievably routed. I was not long in deciding that my point of observation ought to be further to the rear, but I was determined to not add to the panic by any exhibition of haste! But as I now write after the lapse of forty years since the date of that battle, several of which often placed me in positions of greater danger, I never felt more like hurrying in my life. My pride in making a show of courage, which I was far from feeling; and in setting a good example to others; enabled me to ride at a moderate pace till I had passed to the front of Hovey’s disorganized men. At the foot of the hill in the open ground I met Gen. Grant and told him precisely what I had just witnessed –that Hovey’s division was destroyed for the time being- and would soon come over the brow of the hill, with very little show of military formation. 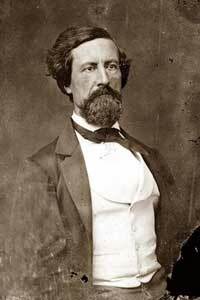 Turning to McPherson, who just then rode up, Grant said: “Cadwallader reports that Hovey is being driven back.” McPherson replied that he also had just been informed of it. 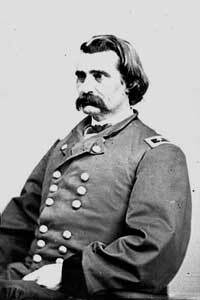 Grant spoke up with great quickness: “Then I would move Quimby into line here, and pointing with his finger said: I would place a battery here, and another there. These dispositions were made just as Hovey’s stampeding men poured over the crest. Hovey’s troops were passed through the ranks of Quinby’s brigade, reformed in its rear, and returned valiantly to the encounter which continued for at least two hours. As the rebels emerged from the timber in pursuit of Hovey the two batteries so opportunely posted, opened fire and staggered them back. Quinby started up the slope bearing to the right, and Hovey soon advanced along the line of his previous march and flight. Logan passed the north end of the ridge and turned southward. Crocker’s division came into line between Hovey’s right and Logan’s left, when the real battle began…. Cadwallader Coins Battle as Champion’s Hill. Historic Source: Three Years With GRANT by Sylvanus Cadwallader, edited by Benjamin P. Thomas with an Introduction by Brooks D. Simpson. Copyright 1955 by Benjamin P. Thomas. Copyright renewed in 1983 by Salome K. Thomas. Published by Knopf, Inc. with Introduction to the Bison Book Edition, 1996, University of Nebraska Press. New and used copies of the book can be ordered through Amazon.com. Copyright (c) James and Rebecca Drake, 2010. All Rights Reserved.